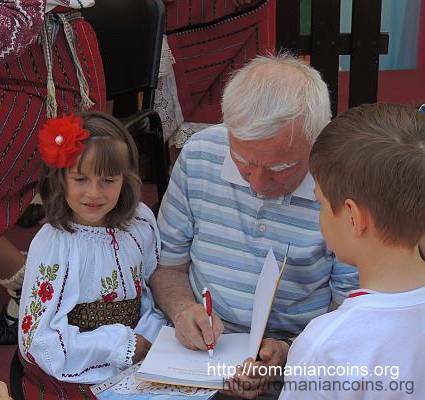 Writer and translator Spiridon Vangheli was born in 1932 at Grinăuţi, in the county of Bălţi in România (today, the place belongs to the rayon of Rîşcani in the Republic of Moldova). The character of Guguţă himself was born in 1967, when children's book Isprăvile lui Guguţă [Feats of Guguţă] appeared. This was followed by volumes Guguţă căpitan de corabie [Guguţă Ship Captain] (1979) and Guguţă şi prietenii săi [Guguţă and His Friends] (1994), imposing Guguţă as a character dearly beloved by children. 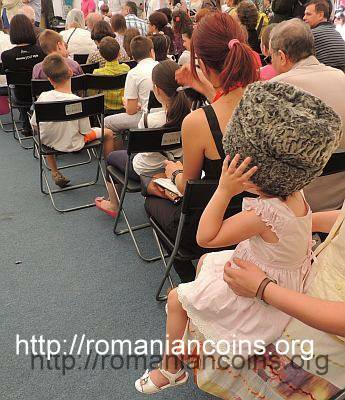 In the story "Căciula lui Guguţă" [Guguţă's Woolen Hat], little Guguţă has received from his father a rather large woolen hat, which thence became a symbol of the character. During winter Guguţă defended the village children against the cold withal, by magically accommodating them underneath it. The woolen hat had the feature to fit whole children under it according to needs, two children, seven children, the entire village at the end. 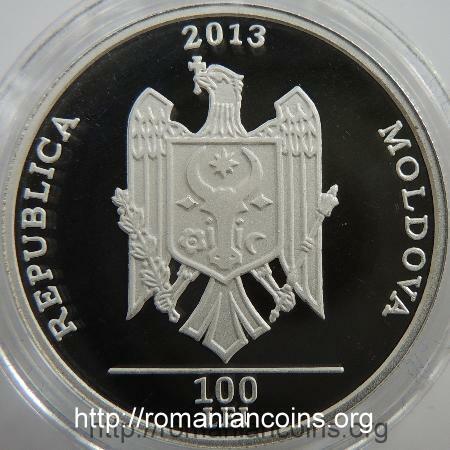 On the coin, Guguţă was represented, logically, as wearing the big hat. The Guguţă books were translated into 40 languages, being published in millions (8 millions, after some sources). Spiridon Vangheli has written in 1970, together with poet Grigore Vieru and others, an Alphabet book in Romanian language with Cyrillic letters. The Alphabet book saw tens of editions, being after 1989 finally embodied in Latin writing. Here is how Spiridon Vangheli tells about the work to the Alphabet book in the conditions in the Soviet Union: "We fought the Ministry of Education, we fought party secretaries. They were taking out of the Alphabet book the words "sea", "mountains", as they figured, the republic had no mountains or sea access. Four times did they take out the text about the Oak of Stephen the Great, but we kept on insisting and finally it stayed in the Alphabet book. They also picked on the little poem with the snail, as why is it going to the Danube?" . As a secret homage to Ion Creangă and unavowed reminder of the Motherland beyond River Prut, Spiridon Vangheli has placed Guguţă inside a village with fairy tale name: Trei-Iezi (Three Kids) - hinting at a famous story of the famous story teller. Other characters created by Spiridon Vangheli: Ciuboţel, Titirică, Grăia-Singur, Măriuca, Ghiocica, Crăiţa. 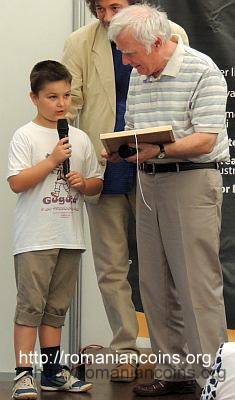 The Parliament of the Republic of Moldova decided that year 2013 be declared Spiridon Vangheli Year, and so to pay homage to the writer and acknowledge in the same time the value of the literature he created for children. 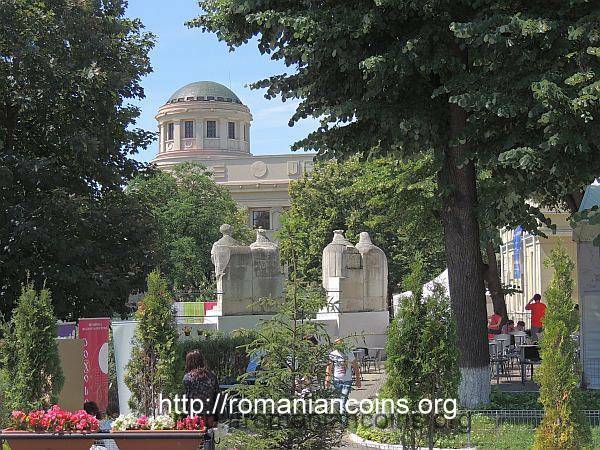 A parallel can be made between Spiridon Vangheli and another Romanian writer, Zaharia Stancu. The main work of Zaharia Stancu, first published in 1948, demonizing the Romanian society from before the installation of communism, was quickly promoted internally and externally, having been translated into 30 languages: novel "Desculţ" [Barefoot]. This made Zaharia Stancu the most widely published Romanian writer from all times, but not at all the most important Romanian creator of literary values. Spiridon Vangheli as well had a special support derived out of the Soviet strategy to promote the image of a multinational state based on freely consented participation of nations. Such a state allowed for national languages besides Russian to be cultivated, and the living proof for the world community that such a liberty existed was the fact that non-Russian writers as Spiridon Vangheli (from the Moldavian Soviet Socialist Republic) were being rewarded internally while writing in their native tongue and widely translated and published into other languages of the world. As such, Spiridon Vangheli was translated into 37  (40 according to some sources) languages and was published in 68 countries, performance which is to be mainly connected to a Soviet strategy and less to his creations in particular. His children books were a good pick during the period, being innocent and too vaguely, if at all, animated with a nationalist, local Romanian pride that could in theory threat the Soviet state, dream and creed. 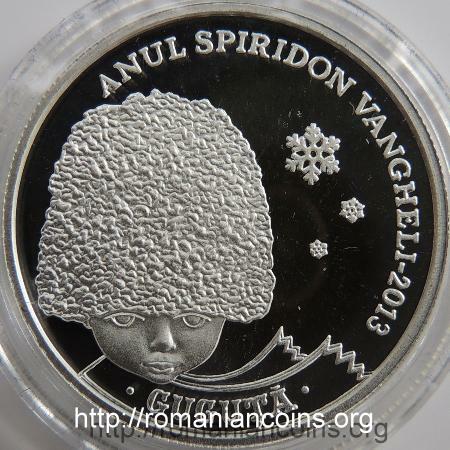 However the circumstances, Spiridon Vangheli is the most translated Romanian writer of all times. 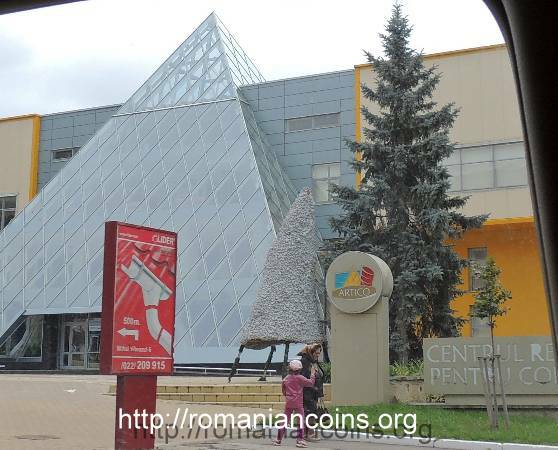 The language in which he wrote his books, although the first have been due to circumstances printed with Cyrillic letters, is the literary standard Romanian. 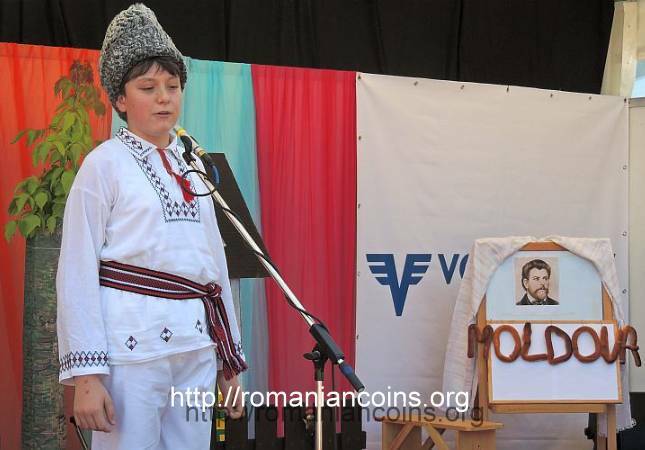 Neither the authentic Moldavian idiom, nor the "Moldavian" stuffed with Russian words is to be found in his writings. 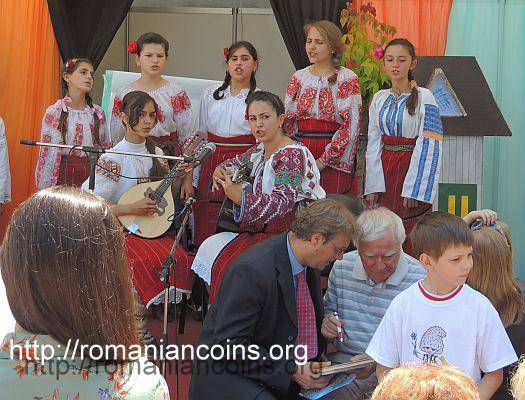 Despite the publication in Romania also ("Feats of Guguţă", Bucharest, 1985), Spiridon Vangheli and Guguţă stayed de facto for a long time unknown to the children in Romania and the Romanian conscience, even after the fall of the communist regime in Romania and the dissolution of the Soviet Union. 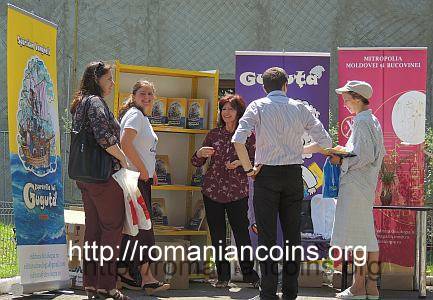 The "true" book launch took place in 2013, at Iaşi, on June the 15th, enjoying a good publicity and a special success, locally at least, thanks to the author's participation and of a great number of children. With the care of Doxologia Printing House of the Metropolitan See of Moldavia and Bucovina, this second book "Isprăvile lui Guguţă", was anew brought to light and has the chance of large distribution in this Country. 1. Nechit Irina, Când va fi reeditat Abecedarul lui Spiridon Vangheli şi al lui Grigore Vieru?, Jurnal de Chişinău, retrieved on 11th of August 2015. 2. Rachieru A.D., Măria sa GUGUŢĂ. Literatura şi Arta.